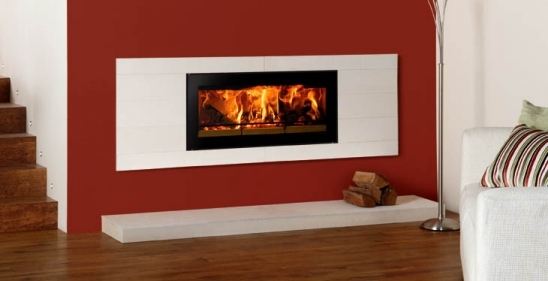 Riva Studio Pienza is a woodburning fire with a limestone frame. This is a high efficiency fire approved for use in smoke control areas. Available in two sizes, Studio 1 and 2, the limestone frame blends the textures and delicate tones of natural stone with the very latest in fireplace design.